I'm with you on the night time noises. It takes me a while to get to sleep and then also have the middle of the night bathroom excursions. I was at a Boy Scout camp in Colorado and heard wolves or I assume coyotes barking and howling in the middle of the night. It was beautiful but I also hoped they didn't get any closer. &#128540;. 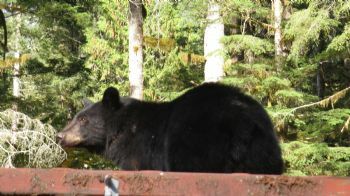 I've run into black bears in daylight and have had run ins with moose and their spawn, deer, elk, marmots, snakes, etc. the moose I keep a good distance and try not to spook them. Especially the mamas. They are just huge. And home we seem to have raccoons. Hubby spotted some in our yard when going to work at 4am. And a plethora of rabbits. The coyotes must have moved out of the park near me or can't keep up with the rabbit population. Im kind of scared of bears and cougars. Even though Ive run into bears before and they always run off I still get nervous when Im hiking or I sleep. Im that person that wakes up in the night to a little noise and thinks its a bear lol! Even though I camp a lot and its usually a mouse, for some reason it always freaks me out. Lol! The worst fear of mine is that I always have to pee in the middle of the night. I dont want to wander far from my tent but Ive heard that pee can attract bears. So that really freaks me out. We hang everything away from camp but nothing I can do about the midnight pee.. Kind of feels like its pointless then. Havnt figured out a good solution to that yet. Im also headed into an area with a large wolf population in June. That makes me a bit nervous as well. Apperently the costal wolves are the chillest wolves, but they are still wild animals. I think it will be cool to hear them and see their tracks, but I dont want to be up close to them. I never let my fears keep me out of the woods, but I do try to take all the precautions I can. We seek out snakes to catch (and release, of course!) . See a lot of deer in the area. One time out hiking alone I saw a deer leg hanging about 5 feet up in a tree. I was baffled. Later that week, I learned that we've recently had mountain lions in the area... ) which are somewhat new to the area.) Love seeing the big Pileated Woodpeckers, too! I have to agree about the cattle! I've only been hiking on trails around them a couple of times, but when they are out in the same open space as me, they are big and don't give any ground, and when they start to move are amazingly quick for such a large beast! I'm not afraid of wild animals and I've had quite a few 'close encounters' over the years - still not afraid of them! However, I get extremely nervous when there is lightning - I was struck by 'ground current' when I was about 9 or 10 yrs old when lightning struck a tree just a few feet from me. I don't actually remember much about it other than I was knocked out and my parents made me lie down on the couch and drink soup all day. Research now shows there is no benefit to drinking liquids but that's what they did. I slept a lot and they kept waking me up, which was also apparently not necessary. Strange that they didn't take me to see a doctor at the time but I had no visible damage so they decided to watch me instead. I didn't think much about the occurrence until a couple of years later when a girlfriend of mine and her brother were killed by lightning and her sister was horribly burned - they had all gone into a metal shed to get out of the rain and the first lightning bolt of the storm hit the shed they were in. The burns were apparently from the shed, not from the bolt itself, although that's sort-of splitting hairs. I try to avoid the mountains during fire season and hunting season - I've been on a trail when people were shooting nearby and it did scare me, especially when bullets flew by my head - I've also been evacuated from a mountain when a wildfire broke out nearby, which was also a little nerve-wracking, to say the least. But cougars, bears, rattlesnakes? Never seen a cougar in the wild, although I've seen signs that indicated they were really close or that I just missed one - had so many bear encounters, I lost track but never had a problem with a bear - ditto for rattlesnakes. The main thing is learning about animal behavior and what they are likely - or not likely - to do. 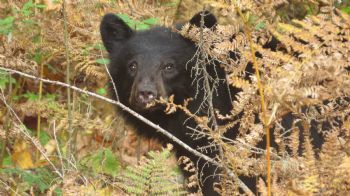 I will say that the bears I've run into were all Black Bears, which are not aggressive. If I hiked in Grizzly or Brown bear territory, I'd have a different attitude I think! I've also encountered many other animals in the wild - skunks, raccoons, foxes, coyotes, deer and elk, etc - of all of these, deer and elk are probably the most dangerous and I take precautions around them. The main reason deer are so dangerous is because people don't think they are a threat so they try to get close to them. But deer have very sharp feet, tend to freeze and then panic when there might be danger, and let's not even talk about what elk can do if upset!! Better to be smart than try to get that perfect close-up photo - just get a zoom lens, haha! Of all the animals I've encountered on trails, cattle have caused me the biggest problem. One time I was inadvertently walking in an area between a small herd of cattle and their 'safe place' - they felt threatened by me, apparently, and decided to go home so they ran directly into me. Thankfully there were a couple of large trees and I was able to stand behind one of them as the cattle stampeded past me because I could have been trampled. Even waving my arms and yelling, as we always did on my grandmother's farm, had no effect other than to make them stampede harder in my direction. I found out later that cattle tends to try to run to the place they feel safe, even if that means running into the danger rather than away from it, but I'm not a country person so not sure if that's true. Either way, I'm wary when I see free-range cattle during a hike! I fear the stupid drunk hunters that like to mix alcohol and firearms in the manly pursuit of critters. I guess he (or she?) is trying to fatten up for the coming winter! Nice pics! So I was sitting in the dinning room checking emails with Dalhouise laying under my chair, when all of sudden Noni comes out of the kitchen holding her two honey cakes in each hand yelling -Bear Bear. I jump up and run into the kitchen. I had brought my camera with me earlier today because I seen a bird that I can't identify and I was hoping it would come back and I could get a photo. Anyways I grab my camera and look around - the bear has jumped onto the roof of our dry storage - Noni screaming must had scared it. Then ... Dalhouise has awoken from his nap and he comes growling all aggressive like... If he was a large dog his growl would scare me.. But as it is .. He did come to protect us but I had to restrain Dalhouise from chasing the bear who had now jumped over 12 feet off the roof and was looking at us from the woods. Great (and sad) reminder Elizabeth. Along the lines of fears and things to be cautious of while out hiking - alone or with a partner. We had a downpour in our local mountains yesterday resulting in a flash flood where a person drown while trying to cross the normally low flowing creek. Here is a sad reminder not to cross rivers and creeks flowing with flood waters. The water will eventually recede and you will be safer on higher ground rather than trying to cross swift water. Remember, even in a car, as little as 4 inches of water moving across a roadway can move it. So whether you are on foot or in your car stay safe. Saw your bear spray update! Wow! What an experience, I guess you well find another place to keep that now? I would agree I do want to go out.. I just have to be aware of the fact and make sure I am prepared... Just saying that when living in Ontario near Kingston - I never had these worries, or concerns. What a tragic story, Marty. There are definitely lots of hazards we need to be aware of out there, but overall, I'd rather be out than in! I was thinking today after hearing on the news about Avalanches that living in BC is nerve racking. In the summer i worry about bears and cougars and in the winter it is about having an avolancs tumble down on me. We even had a little girl killed last week when there was a rock slide on one our nearby well used trails because we had had so much rain lately. 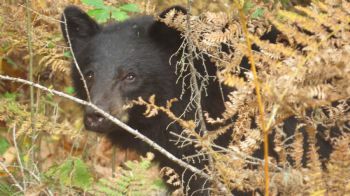 The many years I've hiked, I never encountered a bear until 3 years ago (Lower Cataract Lake Trail, Colorado) and then again, the following year, (Comanche Peak Wilderness Area, Colorado). The excitement was a little heart pounding, but we were at a safe distance. Hung many a bear bag in my time for sure! ........ Seen many snakes. Peace of mind is worth a lot, Doingnottrying, so good for you! Hope you have a great hike! t and it has a kickback! I figure it will work with bears and any two legged critters as well. I am not confident that it will actually stop a bear but will give it a try should the occassion arise. I finally got it because my siblings were worried about me and after one day where I just saw a bear print and my heart rate jumped up. Nope, but we found a can when we were hiking in the Tetons. It seems like something that would be more effective if you could practice with it, but we're probably better off learning how to avoid encounters altogether! I have considered purchasing this as an absolute last resort sort of thing. It's certainly easier to talk ourselves into fear than to talk ourselves out of it. But it can be done. My mother was very fearful and instilled that into me as a child, so it's something I had to work my way out of. I don't think fear is necessarily a bad thing, we should listen to it when it happens, as there may be a good reason to be fearful, but we also can't let irrational fears dominate and steer our lives. If we do that we lose enjoyment in the things we love! Enjoy your trip Marty! And try to focus on the present, not worry about what "might" happen. You will get much more enjoyment out of life that way! This is all good advice and true. I can not let fear keep me inside - I must get off the couch and hike - explore. So far I've been so excited when I encountered wildlife I didn't think about being scared until later. The only frightening animals I've met on the trail walked on two legs. 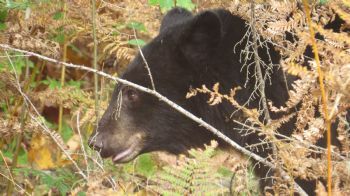 I think it's good to educate yourself on what to do if you encounter those animals on the trail (or in your driveway, depending on where you live!) but I also think we can't live in fear or we would never leave the house! I think it's healthy to be scared of lightning strikes - I just get down from high ridges or peaks, (or time my hike so I'm not in those places at the wrong time) and don't hang out in open areas - I pay attention to the flash/boom intervals to see if the storm is moving closer - just educate yourself. As far as animals, probably rattlesnakes are the most scary for me (a friend ended in the hospital once) - I just keep my eyes and ears open, especially in rocky areas where they've been known to occur. I'm not too scared of California bears - they just want easy to get food, so I don't keep it in my tent - yeah, they're big, but the ones I've seen on the trails have been very shy. Mountain lions are an issue around here, especially if you're small and alone - so in general, I go with other people, or stick to populated trails. No moose here! So I'd just say educate yourself, don't listen to people who dont really know what they're talking about, and you can take whatever measures you feel you need to, and be more confident. Fears no matter how irrational are debilitating and it's good to be prepared just in case. What do you do to keep safe on the trail when it comes to wildlife and the wilderness in general. (I personally am terrified of Lightning).